Network Architecture | Tenere Inc.
As demand for data storage, lightning-fast streaming, and global accessibility increases, companies in the network architecture space have seen an increase in spending to support cloud infrastructure. This technology boom brings with it a lot of competitors, forcing companies to shorten product development cycles and work tirelessly to design networking and security platforms with 2-4x performance outputs without increasing enclosure dimensions. Tenere can help companies navigate the complexities that come with building network hardware. Our experienced engineers have been integral in helping influential companies change how data is stored and consumed over the last 30 years through prototyping, DFM, production, and integration of server chassis, disk drives, routers, switches, drive sleds, and more. This experience is priceless when you are trying to scale quickly and influence the rest of the word with your technology. Soft tool and hard tool sheet metal fabrication provide the flexibility and scalability required for producing custom server rack components. Knowing when to use soft and hard tooling can save companies time and money when building custom sheet metal assemblies. When you partner with Tenere, our engineers provide Design for Manufacturability (DFM) support during the prototyping and NPI stages working closely with your team to identify design modifications to help avoid unnecessary costs or improve functionality so you can hit the ground running. This stage is crucial for companies with a condensed prototype to production timeline. 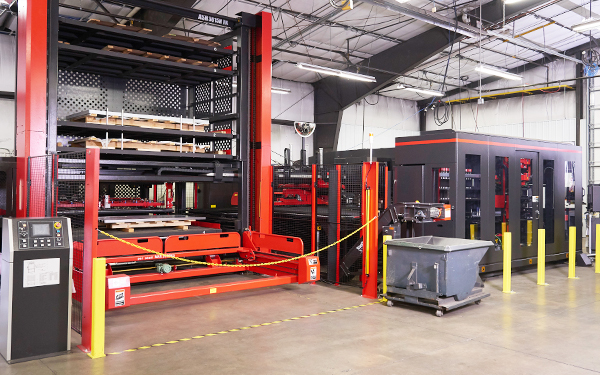 Our unique manufacturing capabilities allow us to not only provide sheet metal solutions for racks, chassis, disk drives, routers, switches, and drive sleds, but also provide injection molded components and overmolding onto metal components. Where possible, overmolding is a great option to decrease or eliminate the need for plastic and metal assembly, cutting costs and creating a stronger bond. Our engineers can help you determine if this is the right direction for your program and build this into your design.